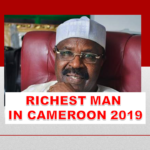 Prosperity in austerity could be an accurate description of the loads of money made by media houses and news websites at the expense of the anglophone community in Cameroon. Some say ‘one man’s pain is another man’s gain’ but I call it prosperity in austerity. For close to a year now (satrting from the close of 2016), the South West and North West regions of Cameroon have been facing a series of political crisis. Though it is true that my blog is focuesd on how to help people make, maintain and multiply their money, I felt really disturbed at the unfair incidents going on in my beloved coutry Cameroon that I thought of writing about this – especially as some people seem to be making quite a handsome sum from the crisis. In summary, the two anglophone regions: North West and South West regions of Cameroon (minority) out of the ten regions in Cameroon had tabled a series of complaints and appeals against certain ills they claimed were done against them such as discrimination (where the anglophone is said to be regarded as a second class citizen), eradication of their civil and educational system in a sort of Frenchification process and blah blah blah! These demands escalated into peaceful demonstrations that met with a stiff response from the government, ghost towns that soon became ‘le quotidient’ in the two regions and further degenerated into seccession calls despite certain measures taken by the Cameroonian government to resolve the conflict. Well, I’m neither a politician nor a news reporter and this post is just a ‘critique’ on the level of prosperity in austerity perpetrated by media houses and news websites. In case you want to know more about the anglophone crisis, latest updates, gruesome images and blah blah blah, feel free to check out elsewhere. 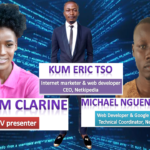 Media houses and news websites are enjoying the spotlight and swimming in money as jobless lawyers, teachers and students are grinding their teeth, burrying the victims and longing for the release of those in prison in the anglophone regions. This can only be called: Prosperity in austerity. As an internet marketer and web developer, I understand how much income can be generated from affiliate marketing ads on a website with lots of visitors daily. 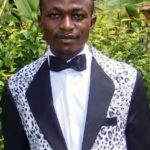 Websites that could hardly get 20 unique visits per day, now receive tens of thousand visitors, others millions from news articles titled ”The Anglophone Crisis”, “The Anglophone problem”, ”Wirba returns” and blah blah blah! It should be noted that local newspapers, radio and TV media houses are equally in the spotlight. It seems a certain portion of folks are looking for a smooth end to these crisis while the media is looking for an apocalyptic end that will grace them with more ‘breaking news’ titles capable of bringing in more ‘ngombo’. 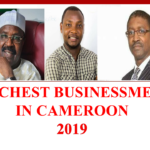 It is estimated that millions of FCFA have been lost by the Cameroonian economy and may be billions soon as a result of this crisis. Unfortunately, the media seems to have found prosperity in austerity as press men fill their pockets from the rubbles of the anglophone crisis. One may be tempted to say many are praying for the violence to continue so that they can continue reaping from the gruesome images. It seems 80% of the ‘fore front’ activists have never stepped into the field since the beginning of the crisis as many can sit behind computer and phone screens and actually set the pace for the strike actions. In conclusion, as an internet marketer, I quite understand what it means to dive in for the buzz and make some extra money on the sideway but I strongly stand against the promotion of violent demonstrations in order to obtain juicy news headlines. As a matter of fact, there has been so much ‘blanchiment des infos’, even at the level of the national TV and private media in general especially social media – the most powerful and most dangerous tool of our days. This sounds more to me like a media war or dangerous manipulation of information to achieve what I don’t know. 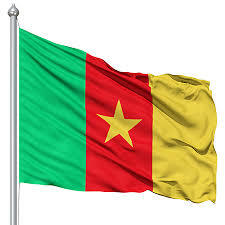 This post is special to me and I dedicate it to all Cameroonains across the world. All comments are welcome – it’s called freedom of speech for the record.